Hello once again for the final week of university for 2013. It has been an awesome year of Spocksoc with screenings, movies and bake sales, with summer screenings and even a New Zealand holiday still to come. Good luck with your final exams and have a great 4 months off! 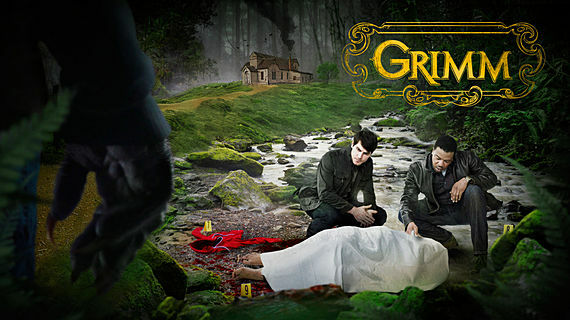 Homicide Detective Nick Burkhardt of the Portland Police Bureau learns he is descended from a line of “guardians” known as “Grimms,” charged with keeping balance between humanity and the mythological creatures (called “Wesen”) of the world. Throughout the episodes, he must battle against an assortment of dangerous creatures, with help from his friend Monroe (who is a reformed creature), and his partner Detective Hank Griffin. The plan is the same: we will start as 5:00pm at Macaulay Theatre and do a pizza run at 7:00pm.